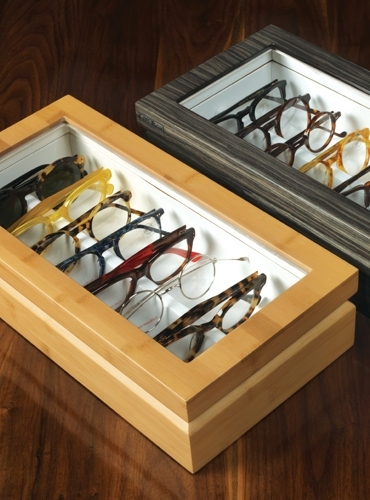 We offer six finishes (mahogany, burl, orange, aqua, zebra grey, and bamboo) in two sizes each. 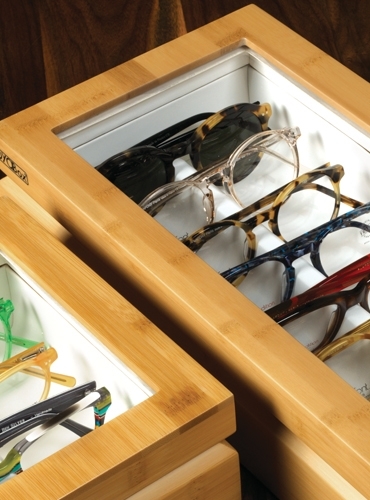 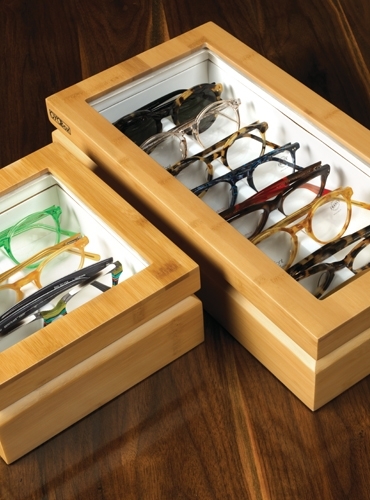 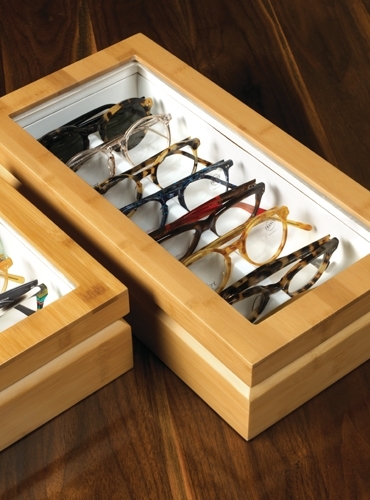 The large chest, shown here in the bamboo finish, holds up to eight pairs of frames. 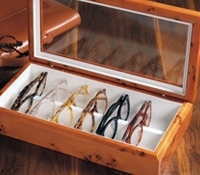 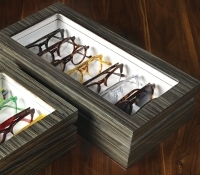 The small chest holds up to four pairs of frames (OBOX3-D). 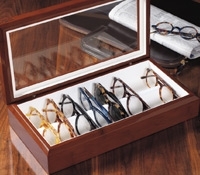 Large measures 14 ½” x 7 ½” x 3 ¼”; small measures 7 ¾” x 7 ½” x 3 ¼”.